Africa Arise and Own your Peaceful Heritage, the Legacy of Ubuntu! Africa has experienced all kinds of socio-economic and political ills as a result of colonialism and demarcation of borders. For the greater part of its history, Africa has been caught in between political and economic challenges that cannot be underestimated. She has remained the hive of political violence, genocides and most recently xenophobic attacks in South Africa. Most scholars lament and attribute this to the loss and erosion of the social fabric and the absence of Ubuntu in the African society. In my view, there is a patriotic obligation for all Africans not to allow the law, the idea of respect for human rights and dignity to slide into the historic dustbin because they play a pivotal role in the continent’s revival. Against the background of the call for an African renaissance that has now become topical globally, I would like to demonstrate the potential that traditional African values of Ubuntu have for influencing the development of a new African jurisprudence and unity. I would like to present this analysis of Pan-Africanism as part of the broader process of African renaissance within the framework of the theory of Ubuntu and cultural uniformity. 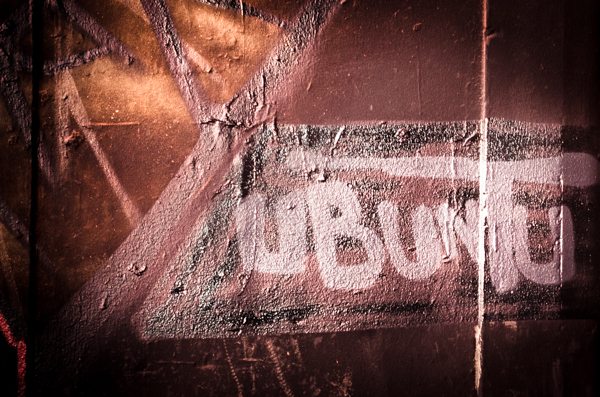 The concept of Ubuntu, like many African concepts, is not easily definable. 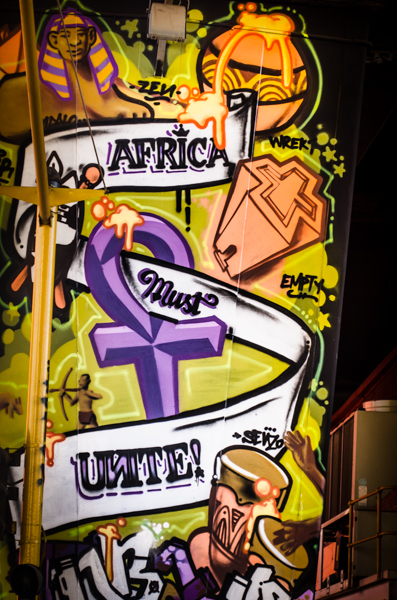 It has been described as a philosophy of life, which in its most fundamental sense represents personhood, humanity, humaneness and morality; a metaphor that describes group solidarity as a thread that holds the community together, based on the belief that umuntu ngumuntu ngabantu, which literally translates to “a person can only be a person through others” (Mbigi and Maree, 1995). In other words, the individual’s whole existence is dependent on that of the group. This is usually manifested in anti-individualistic conduct towards the survival of the group. The demarcation of the African continent into the territories/countries that it has today, can be traced back to the Berlin Conference in the 1880s, and is highly contested within the Pan-African discourse. The migration patterns of the Bantu from Lake Tanganyika to other parts of the continent as well as the Nguni clan linkages between the Swati of Swaziland, Ndebele in Zimbabwe and the Shangani in Mozambique are a clear demonstration that despite the immigration borders, we are all one people. Hence, the weight of the concept of Ubuntu in answering Africa’s problems, such as the spate of recent xenophobic violence in South Africa becomes much clearer when its social value is highlighted through cultural uniformity in Africa. I am Tswana from Zimbabwe because my grandfathers were separated from the rest of their families in Botswana or South Africa when the borders were drawn, but in essence we have cultural similarities. “Group solidarity, conformity, compassion, respect, human dignity, humanistic orientation and collective unity have, among others, been described as key social values of Ubuntu’ (Shivji; 1990). Harmony is achieved through close and empathetic social relations within the group, implying that during one’s life-time, one is constantly challenged by others, practically, to achieve self-fulfillment through a set of collective social ideals and needs. In terms of conflict transformation after attaining independence, Pan-African leaders clearly set the tone for socio-political transformation in Africa. Post-independence governments created,“…a historic bridge between the past of a deeply divided society, characterized by strife, conflict, untold suffering and injustice, and a future founded on recognition of peaceful co-existence … for all Africans and humanity.” (Mbigi and Maree, 1995). In order to realize peaceful co-existence, Ubuntu recognizes that despite the injustices of the past, there is need for understanding, not vengeance, a need for reparation, not retaliation (Mokgoro, 1998; 1). In addition, African cultural values emphasize the need for Ubuntu and not victimization, opposing the slaughter of fellow Africans in countries such as Nigeria, the Central African Republic, Somalia and Sudan among others. The importance of group solidarity requires restoration of peace among them. “…create a new order in which all Africans will be entitled to a common citizenship … where there is equality between men and women and people of all races so that all citizens are able to enjoy and exercise their fundamental rights and freedoms, and it is necessary for such purposes that provision should be made for the promotion of national unity and the restructuring and continued governance of Africa” (Levin, 1987). I am of the stubborn belief that in their highest level of development, Africans must cross borders without the need of producing a passport, but rather an identity card. All Africans must embrace each other in the name of Ubuntu, rather than chasing each other with a bush knife or gun. In my own view, Ubuntu establishes a new restructured socio-political order of continental and national unity, with a common citizenship; peace, a new constitutional order where the law reigns supreme, where all and not only some, shall enjoy and exercise their fundamental rights and freedoms. This is exactly what Africans need to reach self-fulfillment, peace and shared aspirations, thus answering Africa’s problems. Levin, R.M (1987)”, Democratic Struggles in South Africa,” Review of African Political Economy, no.40. Mazrui, A (1986), The African, Pearson Publishers, London, p10-25. Mbigi, L and Maree, J (1995), Ubuntu: The Spirit of African Transformation Management, Sigma Press, Johannesburg; p1-7. Mokgoro, J.Y (1998), Ubuntu and the Law in South Africa, Longman, Johannesburg. Shivji, I.G (1990), Fight My Beloved Continent: New Democracy in Africa, SAPES Trust, Harare. Tendaishe Tlou is a freelance researcher and writer specialising in human rights, youth development, peace and conflict issues. He is also in possession of a BSc (Honours) Degree in Peace and Governance with Bindura University of Science Education, and holds a post-graduate Applied Conflict Transformation Certificate with the ACTION Support Centre. 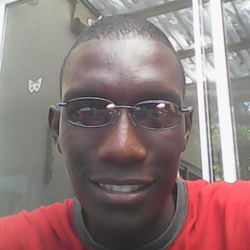 He works with various NGOs and government ministries in Zimbabwe and South Africa, and writes and presents articles.